Acclaimed female rappers Remy Ma and Lil Kim have joined fans and other celebrities to celebrate Cardi B’s historic Grammy win. NAN reports that Cardi B won the award, which is her first Grammy, for ‘Invasion of Privacy’. Lauryn Hill was the last woman to win the award over 20 years ago with the Fugees. 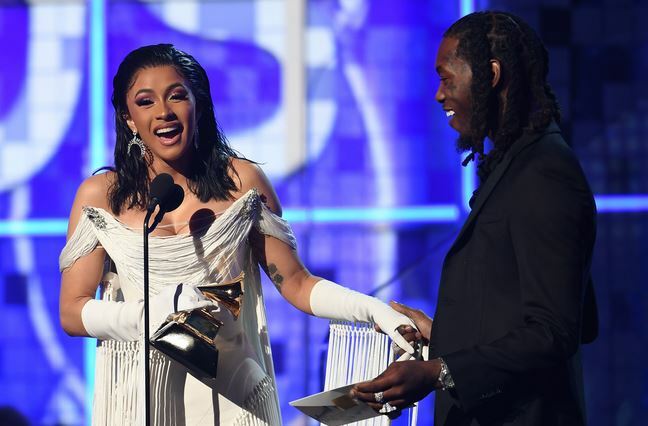 Cardi B “shared the Grammy with Mac Miller” the young rapper who died in 2018 and was also nominated in the same Best Album category.